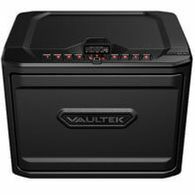 Ranking as the coolest safe of 2017 by far, the new Vaultek line puts other smart safes to shame. 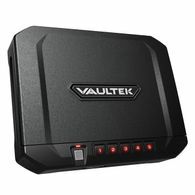 Bluetooth app connectivity, biometric fingerprint scanner, 4-8 digit electronic code, key override and on some models even RFID access, these Vaultek safes have up to 5 different ways to open the safe. While it may seem like a bit overkill, they wanted to make sure you would be able to get into your safe no matter what. 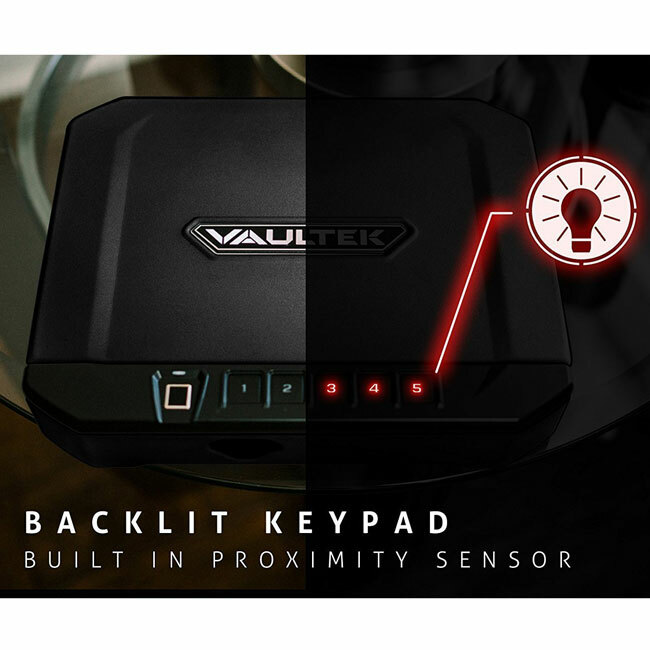 This version, the VT20i has 4 methods of entry in the Bluetooth app, the 4-8 digit electronic entry, biometric fingerprint scanner and the backup override keys. 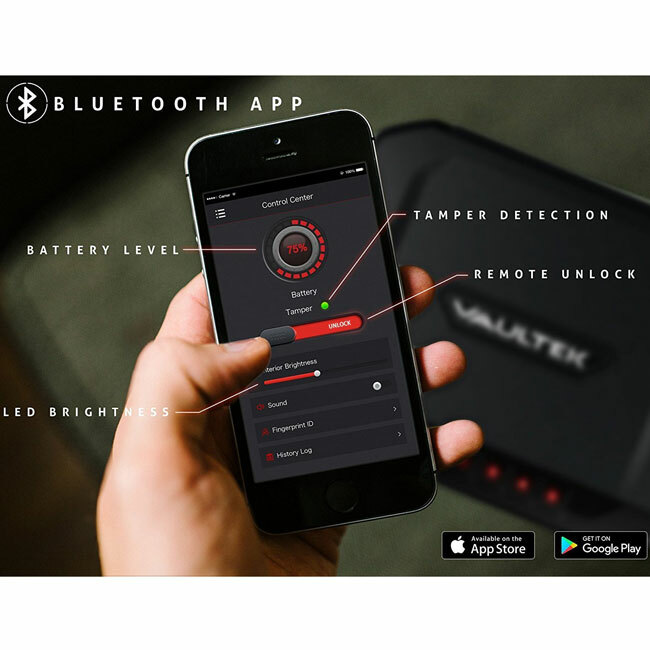 The biometric high resolution scanner is able to store up to 20 unique fingerprints and with the Smart App you can actually track the usage if anyone has attempted to enter your safe. 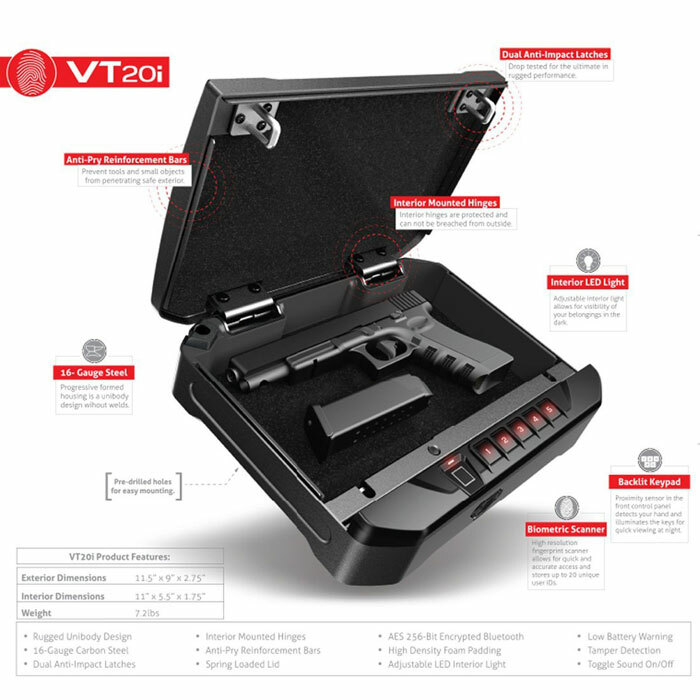 What makes this safe really awesome is its portability. It uses a lithium-ion battery that charges in 2.5 hours and lasts 4-6 months making this ideal for the car, a backpack or your suitcase. It's made with only 16 gauge steel so it keeps the product light enough to actually be portable. 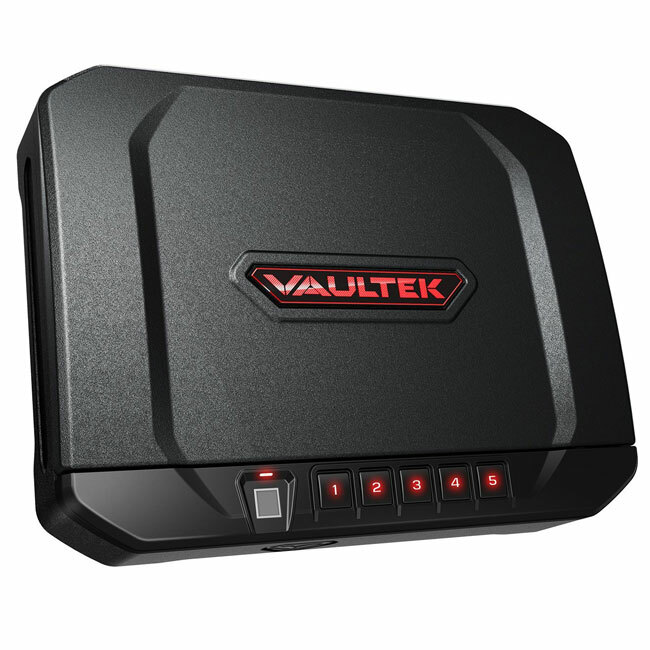 At only 2 pounds heavier than it's little brother the VT10i, the VT20i has a little more storage capacity in a similar footprint. 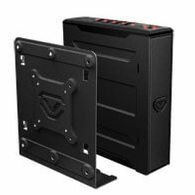 In terms of security, the steel is thin but when combined with the two-point anti-impact latches, protected hinges and anti-pry construction, this safe is actually pretty tough. It also passed the CA DOJ testing standards and is safe to use with children. Right out of the box, you can really feel the quality of the Vaultek line and they made sure to include everything you need to get started right when you open the box including the mounting hardware, the lithium-ion battery, a USB charging kit and a high strength steel security cable that will allow you to secure the safe to any fixed object like the seat of your car for example. 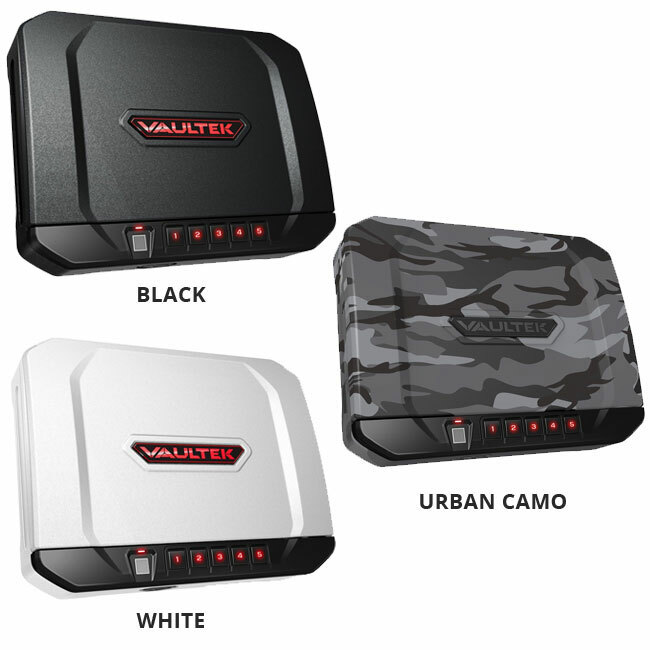 It has 3 attractive finishes to choose from and is backed by a 1 year warranty. 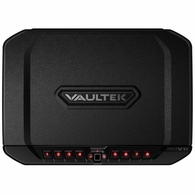 If you want the coolest Smart Safe on the market, Vaultek is the safe for you.